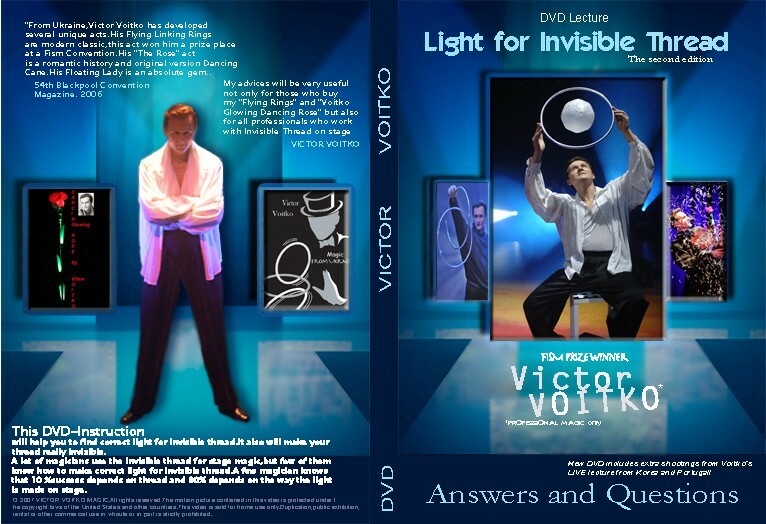 This video will help you to find the correct light for thread work with aninvisible thread on a stage. invisible thread on a stage. It also will make your thread REALLY INVISIBLE! depend on the threads and 90% depends on the way the light is made on the stage. is one of the magic modern classics. His Flying Rose is original version of the dancing cane. The video is included extra shootings from Voitko`s LIVE lecture from Korea and Portugal! March 2006, in Holland June 2006, BIMF Korea May 2007 and API CONVENTION 2007 in Portugal.